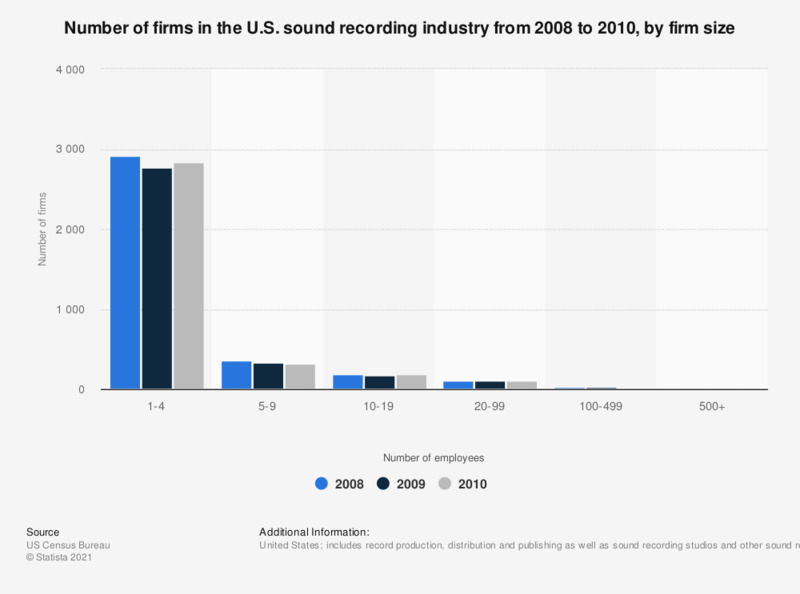 The graph shows the number of firms in the US sound recording industry broken down by firm size. In 2008, there were 2,912 firms in the industry with four or fewer employees. Figures for 2008 and 2009 come from previous publications.